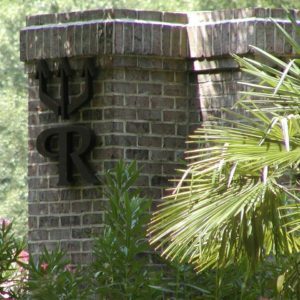 Port Royal Plantation is Hilton Head Island’s only completely private oceanfront residential community. It lies at the heel of the Island, with approximately 1 mile of beautiful beach where the Port Royal Sound meets the Atlantic Ocean. Residents can walk, unimpeded and unobstructed, directly along the island’s quietest beaches. Many residents of Port Royal enjoy activities such as kayaking, tennis, pickleball, salt-water and fresh water fishing, swimming in the Associations Olympic-sized pool, farming, sailing, playing golf and so much more! Enjoy the miles of pristine beachfront, exclusive amenities, 3 challenging golf courses … you will be glad you did! Leamington is a private community within Palmetto Dunes consisting of 300 homes and 516 villas and townhomes. Entrance is accessed through gated security entrances on Highway 278 and on Ocean Lane in Palmetto Dunes. Greenwood Development Corporation, the creator of Palmetto Dunes and Palmetto Hall Plantation designed the neighborhood. It is located on approximately 450 acres that include a swim club with boat-ramp access to Palmetto Dunes’ 11-mile lagoon system and an ocean-front beach club. Owners of Leamington villas, townhomes and single-family homes can also utilize all the amenities in Palmetto Dunes. Long Cove Club plantation is situated between Yacht Cove and Wexford Plantation toward the island’s south end. Within Long Cove are 569 homes. Golf Digest magazine has rated Long Cove Club’s private golf course, designed by Pete Dye and recently renovated, the number one course in South Carolina for 10 consecutive years. A membership to this challenging golf course is included with ownership in Long Cove club. In the 1980s, the plantation’s developers chose to carefully preserve the area’s live oaks, magnolia and palmetto palm trees, which create a serene, wooded environment in which its signature golf course is nestled. In addition to the golf course, a new tennis center was opened in 2002. Residents enjoy deepwater access to Broad Creek from the community’s boat docks. Wexford Plantation, an exquisite residential community of 450 homes, features immaculately manicured landscaping, a championship golf course, a $5.2 million clubhouse, and a harbor with one of only four lock systems on the east coast. The lock system, controlled by a 24-hour, on-duty harbormaster, opens to Broad Creek, providing access to the Intracoastal Waterway and Atlantic Ocean. Four full-time golf professionals are on hand at the plantation’s world-famous golf course, designed by architect Willard Byrd. Two full-time tennis professionals teach on the plantation’s six Hard-Tru courts, four of which are lighted. The most distinguishing characteristic about Wexford Plantation is its grand homes, many with deepwater boat docks. Indigo Run is the youngest and final private residential golf community developed on Hilton Head Island. Its 1,712 acres are located at the island’s north end, directly across Highway 278 from Hilton Head Plantation. Residential choices in Indigo Run range from the private Golf Club at Indigo Run to the waterfront River Club and Broad Pointe to the luxury and convenience of The Garden Homes at Berwick Green. Indigo Run prides itself on its two Jack Nicklaus-designed golf courses: the Golden Bear and The Golf Club. Inside the private gates of Indigo Run, residents can also take advantage of a recreation area with a junior Olympic swimming pool, hard tennis courts, basketball and volleyball courts, and playground. After crossing the bridge onto Hilton Head Island, the community of Windmill Harbour is visible on the right side of Highway 278, along the Intracoastal Waterway. The community’s premier coastal location has 350 homes and 70 villas, with 80 percent of them having water views. This 172-acre private community exhibits true southern architecture with its brightly colored homes. Windmill Harbour is home to the South Carolina Yacht Club and a 15.5-acre marina with 260 boat slips and a locked harbor system that serves as a direct link to the Intracoastal Waterway. One of Hilton Head’s largest and most age-diverse residential neighborhoods is Hilton Head Plantation. Spread over 4,000 acres between the Intracoastal Waterway and Port Royal Sound, the Plantation has over 4,000 homes and 500 villas. It is home to the Country Club of Hilton Head’s semi-private 18-hole golf course designed by Rees Jones. Jones also designed the plantation’s award-winning Oyster Reef Golf Course and Bear Creek Golf Course. The plantation has a fourth, private course created by Gary Player and Ron Kirby called Dolphin Head. Within the plantation, there is access to two miles of beach, a community recreation center, a shared gardening area, numerous community swimming pools, and tennis courts, Skull Creek marina, and the Old Fort Pub restaurant. Two nature conservancies possess beautiful, lengthy nature trails and boardwalks through woods and marsh. An extensive leisure path system for walking, jogging or biking winds through this beautiful community. In 1956, Charles Fraser developed Sea Pines into the first private plantation community on the island. The Sea Pines Resort is one of the largest residential and resort plantations on Hilton Head spanning 5,200 acres. Within Sea Pines are 3839 homes and 2042 villas. The community is most famous for its three championship golf courses, including the Harbour Town Golf Links, home of the PGA Tour’s annual RBC Heritage. Sea Pines is also associated with the world-recognized Harbour Town Marina and its landmark red-and-white-striped lighthouse, built in 1969 to aid boats traveling on the Calibogue Sound. The marina hosts awe-inspiring yachts as large as 115 feet. Sea Pines has a lush, 605-acre forest preserve, access to five miles of Atlantic Ocean beaches, over 100 tennis courts, two security gates and numerous swimming pools. It is also the location of the South Beach Racquet Club, Sea Pines Racquet Club, Lawton Stables equestrian center, and restaurants and outdoor activities held at South Beach Marina Village. Baynard Cove Club is a private residence in the heart of South Beach located in Sea Pines on Hilton Head Island, SC. Beachside Tennis Villas is inside Sea Pines on Hilton Head Island, SC. Bluff Villas is located in Sea Pines Plantation on Hilton Head Island, SC. Calibogue Club is located in Sea Pines Plantation on Hilton Head Island, SC. Lands End Lake Forest Villa is an exclusive community located in the South Beach Marina neighborhood in Sea Pines on Hilton Head Island, SC. Hilton Head Island real estate is some of the finest in the United States. Hilton Head Island has many plantations and residential communities to choose from, prices to fit your budget and amenities galore. Come and explore all that Hilton Head Island has to offer you and your family.